On iOS, you can only present the push permission request “once”. 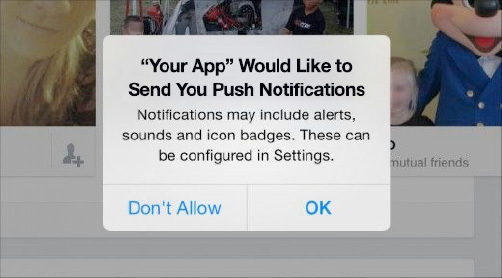 After that, users have to go into Settings, find your app, and dig through the options to turn push notifications on. In other words, if you lose users in the beginning, you face an uphill battle trying to win them back. 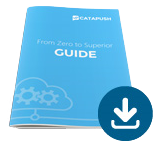 You don't want to waste your one chance to get users to opt­in. To maximize your chance of users opting­in, you want to make sure to personalize the request message so that users understand the value of receiving your push notifications. With Android, you can start sending push notifications to users without requesting permission. But just because users can't opt­out within the app, doesn't mean you still shouldn't optimize your strategy. Starting with Android 6.0, users will be able to opt­out of push notifications from the list of installed apps. That means if you don't deliver useful messages, you risk losing your users.